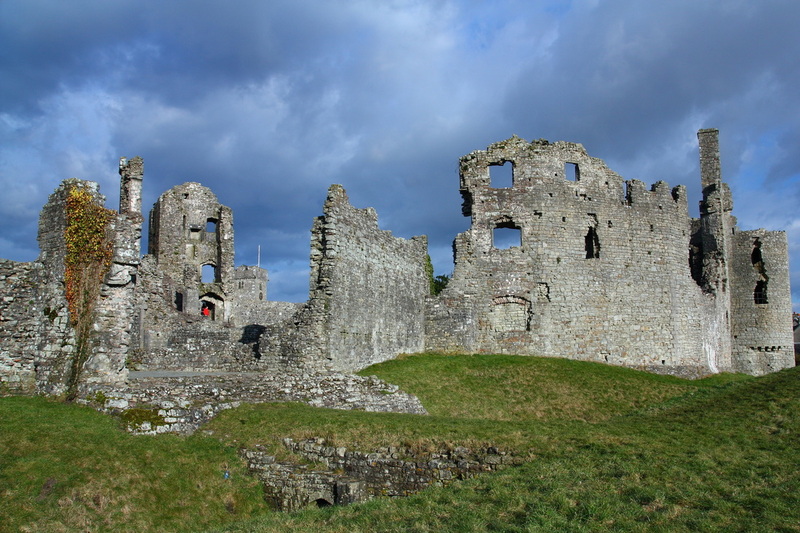 Explore the histories of all the Local Castles, above. 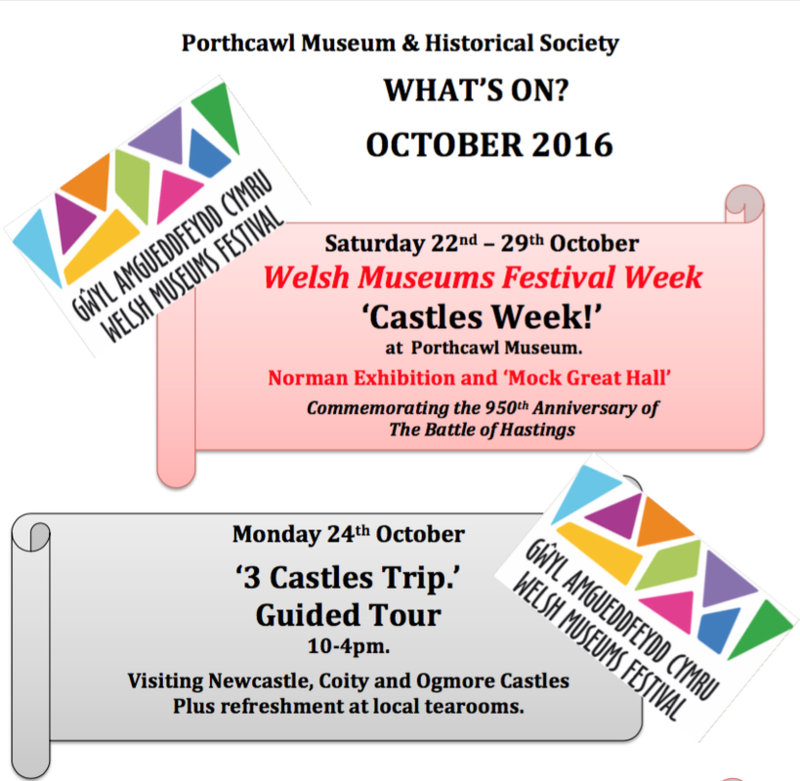 Visit the Museum's Castle Experience - even eat Norman Food!! 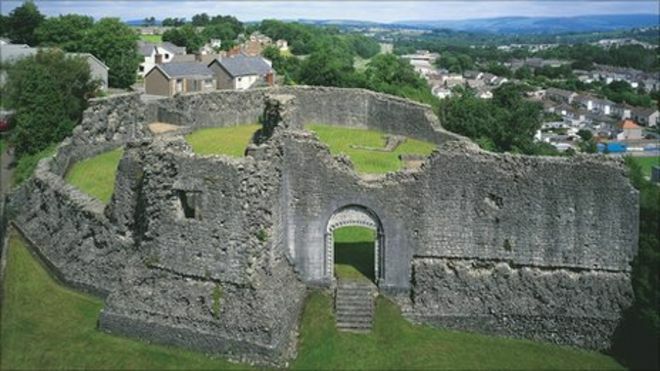 Learn how the Normans changed Glamorgan. 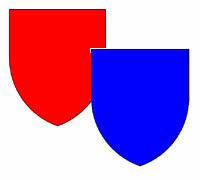 Shields were designed to help recognise one knight from another. Between 1100-1150, knights began to use their designs on their flags and shields, in battle and in tournaments. The designs were passed down from father to son. An entire family would have the same design. 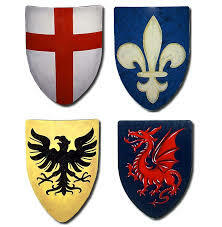 Heraldry is the name given to these designs. To every knight their shield was very important. What did a Knight want on his shield? Coats of Arms had certain aspects. The escutcheon is the main shape of the coat of arms. The field was the background color. The charge is the main picture in the centre of the coat of arms. Ordinaries were the designs that appeared on the field. The design in the centre would say something about the knight.